It’s Friday, and that means it’s Target day!!! I was a little worried about this particular trip. First, we got out of the house much later than usual. These guys are really good first thing in the morning, but today it was almost lunch time. Second, today the choo choo wagon was in the car instead of the Peg. I’ve got the stroller-pushing-while-pulling-the-cart (with Starbucks in hand), down to a science. I wasn’t so sure about pushing the cart and pulling the wagon. 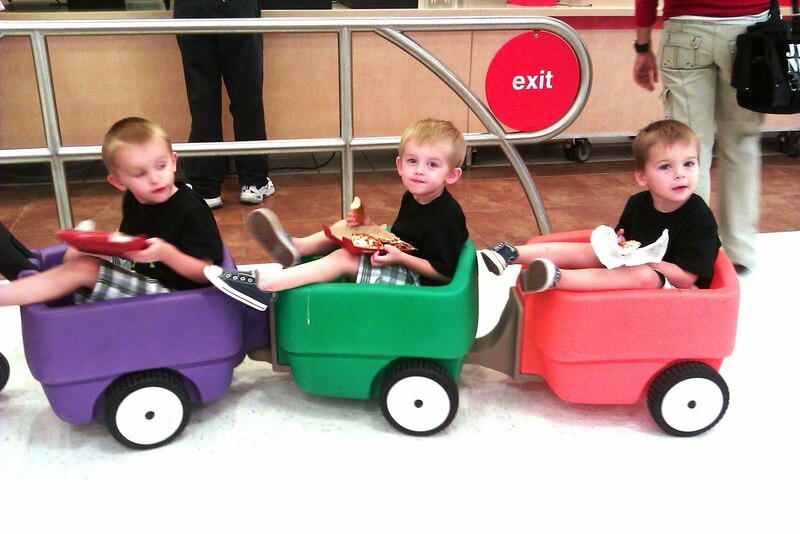 It turned out ok… they actually enjoy riding in the wagon. It’s just harder for me to see what they are doing when they are behind me. Not necessarily a good thing!!! I finally made my way up to the register and began to unload my cart. 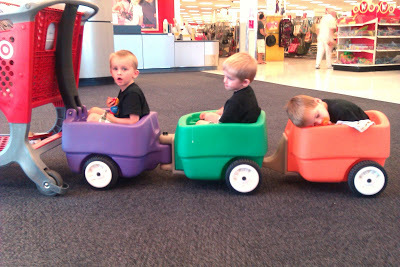 I couldn’t help but notice my caboose was extremely quiet… and still. Poor Aidan… he was so very tired. So tired, that I had to wake him up to put him into the car. Well… that is, after I shot this quick video with my phone… I just couldn’t resist!!! 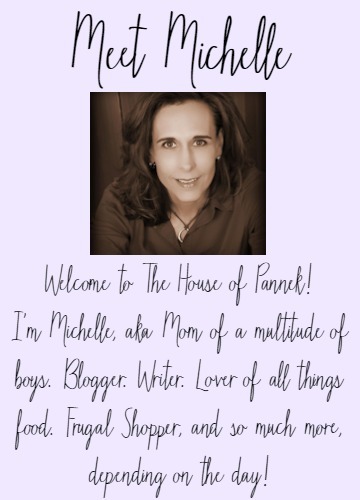 LuLaRoe – Shop With Me!